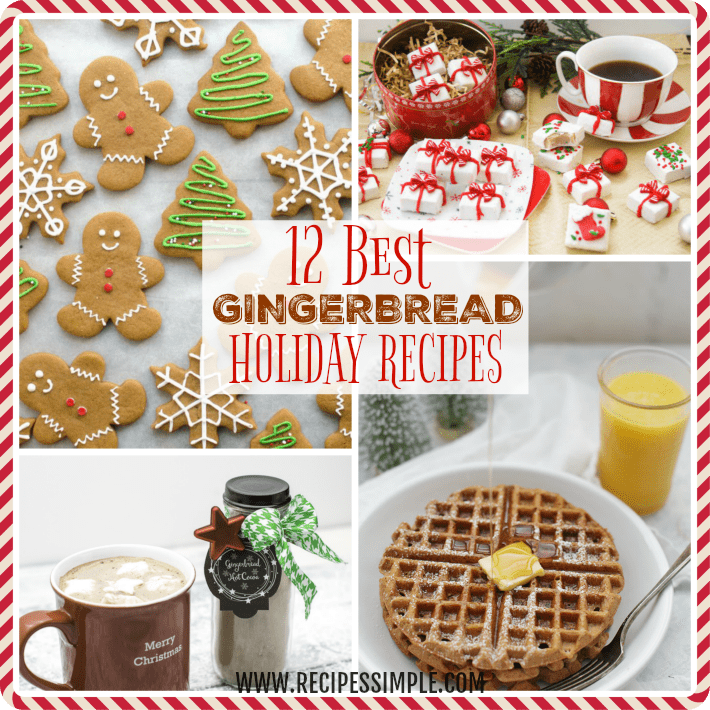 These twelve delicious Gingerbread recipes will get you in the holiday mood! Start your mornings with some homemade gingerbread waffles. 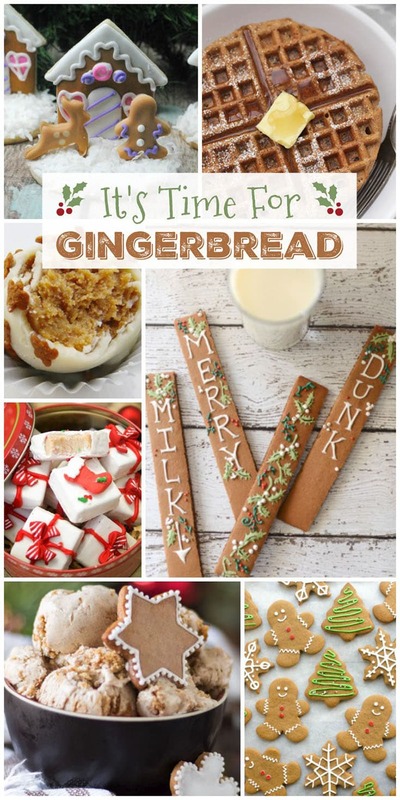 Spend the afternoon with the kids baking and decorating yummy gingerbread cookies. Then enjoy the evening warming up with a cup of Gingerbread Hot Cocoa. Gingerbread Bark – Our Table for Seven – This Gingerbread bark is just 4 ingredients and is a great holiday treat that freezes well so you can put in your freezer until you need it. Gingerbread Hot Cocoa Mix with Gift-Giving Tags are the perfect gift to have on hand for friends, family, teachers or co-workers. Gingerbread Waffles from One Lovely Life is the best recipe for your holiday breakfast waffles. Light and fluffy and crispy on the outside. These Gingerbread Waffles are perfectly spiced and will be a hit with your family for breakfast any time. Ginger Nut No-Bake Truffles – The Purple Pumpkin Blog these no-bake truffles are made with ginger nut biscuits and melted white and milk chocolate. Rice Krispies Treats Recipe Gingerbread Boy – Mom Foodie. 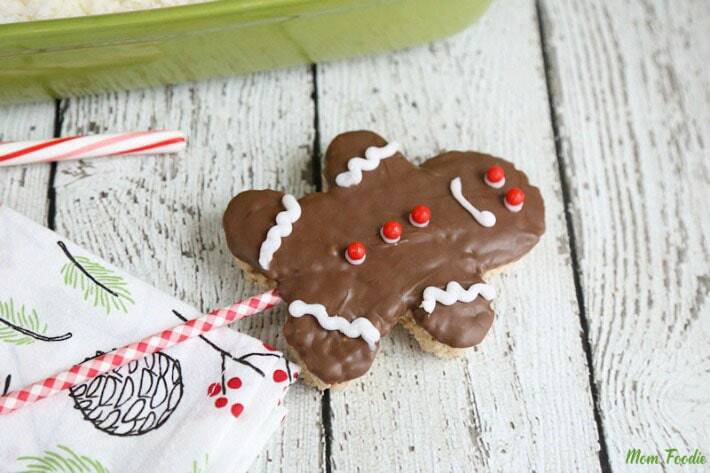 The front of these Gingerbread Boy Christmas Rice Krispie treats are coated in ginger seasoned chocolate and white icing and tiny red candies are used to decorate. Gingerbread Holiday Fudge from Living Sweet Moments is soft, chewy and delicious with cinnamon, nutmeg, vanilla, and ginger. They are easy to make and kids love to help decorate them. Gingerbread Ice Cream Recipe from Happy Foods Tube is the perfect Christmas dessert! This Gingerbread Ice Cream has pieces of gingerbread cookies mixed in so you get a double treat. 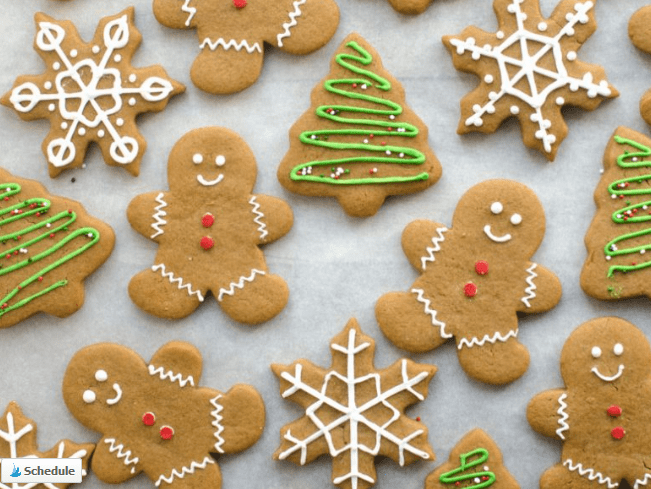 Soft Gingerbread Cut-Out Cookies – Bless This Mess, Please. Try these yummy soft gingerbread cookies that are sweet, and lightly spiced. These cookies won a blue ribbon at her local county fair. Gingerbread Protein Shake – Maybe I Will. Start the season off right with this delicious Gingerbread protein shake. Made with Vanilla Almond Milk, cinnamon, ginger, molasses, ground cloves, Vanilla Whey Protein and stevia. The Best Gingerbread Cake Recipe from Nellie Bellie is made the way all cakes should be made – the traditional, old-fashioned way. Try this awesome and traditional gingerbread cake recipe that is full of flavor. Chocolate Gingerbread Cookie Sticks from Tikkido are perfect for dunking in glass of cold milk. The kids will love helping you decorate them.